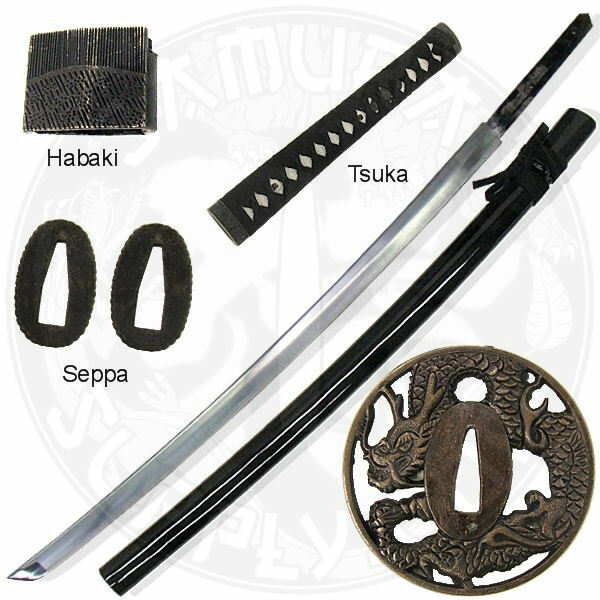 Samurai Supply.com is excited to offer these fully functional Assemble Yourself Katana Swords to the DIYers out there in the Samurai Sword world! You can be proud of knowing that you put this Katana Dragon Sword together by yourself. These carbon steel Samurai Swords come completely unassembled so that you may enjoy putting the Katana Sword together yourself. These Samurai Swords are not just for show by any means. They feature high carbon steel blades, and full tang construction! It comes with everything you need to put this sword together on your own! Purchase yours today and you can make your own training sword! Become a Samurai Supply Member on the home page and get an immediate coupon discount code that you can use to purchase your Katana Dragon Sword today! This Assemble Yourself Katana Dragon Sword is on sale for over 35% off the regular price and qualifies for a 30 day money back satisfaction guarantee. 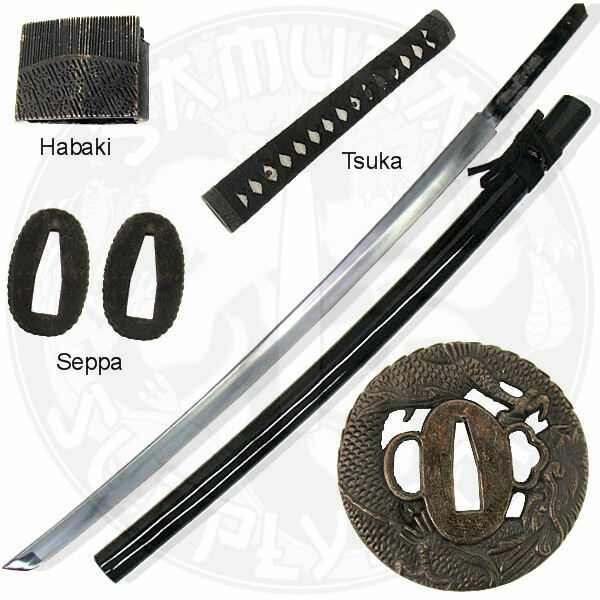 Purchase this Assemble Yourself Katana (Dragon) Sword now and get an amazing sale price and peace of mind knowing that SamuraiSupply.com stands 100% behind their products!